Sibanye-Stillwater has offered the Association of Mineworkers and Construction Union (AMCU) a proposal to get its striking members in the gold sector back to work. The caveat: AMCU must call an end to the strike, which has been marked by incidents of violence, and sign the wage deal that three rival unions agreed to late last year. 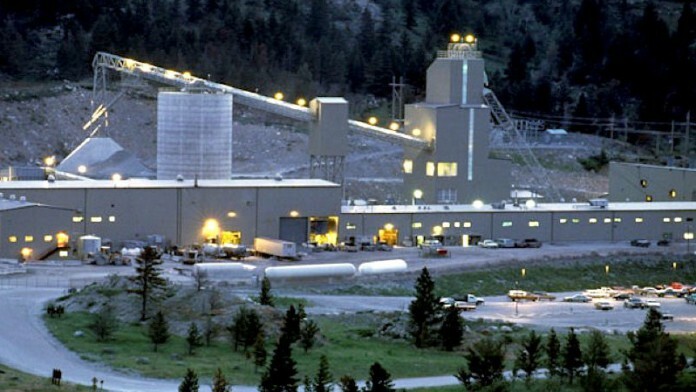 The union has been on strike at Sibanye-Stillwater’s gold mines since mid-November after it was the only union to reject a three-year deal it helped negotiate. Sibanye-Stillwater has since raised the prospect that it could restructure Driefontein and Beatrix, two gold mines, in a development that would affect up to 6,700 jobs. The “return to work proposal,” contained in a message to staff dated March 1, offers a number of inducements to get AMCU members to pick up their tools again. MiningMX has obtained a copy of the proposal. The proposal includes a one-off “peace and stability” payment of R4,500 to the striking workers and a R5,000 salary advance to be repaid by the workers who went on strike over a 12-month period. Sibanye-Stillwater has also signaled it is willing to absorb some costs to bring the dispute to an end. “During the strike, the company continued to provide the striking employees with accommodation, food, and made payments on their behalf, including contributions to the members’ respective medical aid and pensions/provident funds,” the proposal says. “The company waives its rights to recover such amounts paid during the strike, on behalf of the striking employees (meaning that such monies will not be deducted from strikers),” it adds. Sibanye-Stillwater will also offer a job to a relative of anyone killed in violence related to the strike and will rehire workers sacked during the strike, though they must still face formal disciplinary proceedings. “Nothing will prevent the Company from proceeding with disciplinary action against other members alleged to have committed strike related misconduct,” the offer says. Sibanye-Stillwater spokesman James Wellsted said the company has been engaging with AMCU but remained steadfast in its refusal to sign a separate agreement that would undermine the other unions. AMCU officials could not immediately be reached for comment. So Amcu did not even look at this proposal!! They want to continue with a court case to prevent the retrenchments, thus causing more and more in the future? This Amcu guy has a personal vendetta and mysterious goal in this issue. How can he get away with it and his followers do not chase him away, is above logic reasoning. Striking workers to be stopped at hostels and food ,if you strike you forfeit all privelages, no work no pay and you see how they will give in .We run a business no charity,strike but being fed and accommodation will carry for months as friends help with pity things,cut main thing he will stop . The workers staying out of the hostels are suffering, but those living in the hostels are being fed every day, and they are the ones preventing the others to report to work. I wonder why the management can’t close the kitchen and see how long will they last without food. we are working at mining company where boss get bonus n huge salary but when we fight for our rights is a problem. yes we agree with you. as you run business are you take care? the heart of mining company is underground why they fail to pay them what they want to avoid the strike. imaging if was you earning peanuts and your boss get everything. is very sad n painful to see Rdo suffering underground and not pay what they deserved.